The doctor and nurse were wonderful in trying to make things “not so scary” for my 5yo. I really appreciate theirefforts in trying to make him feel comfortable! Dr. Perlis had great bedside manners. Definitely knowledgable about what was going on and made me feel much more comfortableabout my condition. The entire staff was friendly and helpful even though I was running a few minutes late. I would definitely recommend Dr. Perlis. Dr. Perlis had great bedside manners. Definitely knowledgable about what was going on and made me feel much more comfortable about my condition. The entire staff was friendly and helpfuleven though I was running a few minutes late. I would definitely recommend Dr. Perlis. Dr. Clifford Perlis is a graduate of the University of Pennsylvania, where he received his medical degree. Dr. Perlis is a meticulous dermatologist, certified by the American Board of Dermatology. Having earned his medical degree, he advanced his training by completing a residency in dermatology at Brown University. Dr. Perlis is available for exams and consultations at Keystone Dermatology Partners in King of Prussia, PA. His additional training in dermatology allows him to treat many issues pertaining to the skin, such as fungal infections, eczema, acne, psoriasis, and rashes. He focuses on a thorough and results-driven approach to skin care, utilizing the latest medical advances to gently lead the patient on the road to seamless recovery. 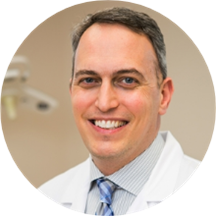 Dr. Perlis believes in providing medical care that suits his patients' skin needs. His deep-seated passion for skin care stems from his desire to help others and make them feel and look their best. Very good knowledgeable, Got me in and out very fast!! The office was easy to find, staff was friendly, and there was no wait time at all. Dr. Perlis was very helpful and answered all my questions.